Active in Northern California as a junior rider, Katy began her professional career in upstate New York. She joined one of California’s most successful hunter-equitation operations in 1999, first providing training support for a family of private clients in Alaska, and later at the barn’s two Northern California facilities. 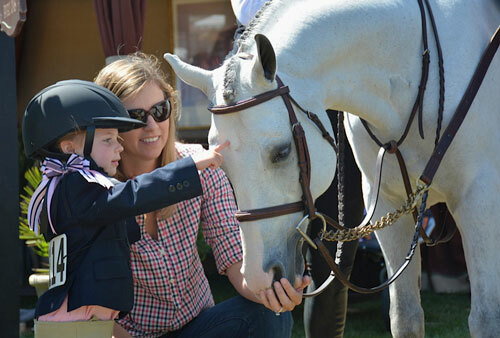 At Chestnut Hill, Katy’s natural talent is put to work at home riding, where her ability to develop each horse’s unique strengths make them more ridable, and ultimately better able to perform. She is also a gifted instructor who derives great joy from seeing her students improve. In addition to being a great rider and teacher, Katy is a true animal lover and is deeply involved in each horse’s care, including turn-outs, nutrition and supplements, vet, shoeing and body work needs. She puts as much passion into bringing a rehab horse back to full health as anything she does. When not in the show ring herself, Katy has great success preparing clients and their horses to bring home the ribbons. Katy is currently helping out part-time, and works in the interim while Beverly is away at shows. Edgemont Farm, 49 Jewett Road, Petaluma, CA 94952Copyright ©2014-2019 Chestnut Hill LLC. All rights reserved.